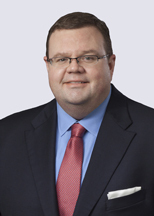 Andrew Weber is a partner in our Kalamazoo office. He counsels and represents clients on a wide range of intellectual property matters, dealing in particular with IP transactions including licensing and development agreements, due diligence, and patent procurement, trademarks, trade secrets, copyrights, and supporting IP litigation. He is especially experienced in matters involving chemical and energy technologies, and his background includes having worked at a Pfizer predecessor company and Dow Chemical.